A deeper understanding of diseases and the science needed to treat them is helping replace the old model of blockbuster and “me too” drugs with one that focuses on disruptive innovations that can offer better value and benefits to its patients. It is no longer large pharma companies leading the way with an army of resources. Small, emerging companies (defined by having less than 500 employees) are being credited with developing more than half of the novel drugs approved by the FDA over the last decade.1 Outsourcing has allowed these entrepreneurs to leverage the facilities and expertise of a strategic partner rather than invest too much of their own capital before they know the future of their drug. In the last five years, half of new drugs were manufactured by CDMOs.2 This reflects the critical role of CDMOs in supporting the development of clinical candidates as well as the registration of these products, marketing authorization, and manufacturing for global markets. Smaller companies utilizing CDMO resources and companies facing increased competition must find ways to stand out and, more importantly, get ahead. This has led to an exploration of new territories in drug development, such as new mechanisms of action including targeted therapy, which is transforming the make-up of today’s drug development outlook. As more targeted therapies are needed, we have seen an increase in complex molecules being investigated in clinical trials. These “niche buster” drugs are driving renewed research efforts for many rare diseases, as they have higher probability of approval, thereby a greater return on investment. According to a recent orphan drug report from EvaluatePharma, orphan drugs will represent over a fifth of the world prescription market by 2024.5 Despite the benefits they serve to the industry and especially the patient, the targeted therapy of rare/orphan drugs come with significant challenges for any company trying to bring one to market. comply with occupational exposure limits for handling potentially hazardous compounds. Unfortunately, securing these measures requires a significant capital investment and several years to get a compliant facility up and running. Even if a company already possesses some of these capabilities, they could potentially be outdated. The equipment and engineering techniques used for highly potent compounds five to 10 years ago are now more sophisticated. Any company, including a CDMO, that invests in containment procedures and capabilities to handle these types of compounds will be better positioned to support the industry. Oral solid dosage drugs continue to be a mainstay of the pharmaceutical industry, and it is likely due to the advantages they continue to have over biologics, which are often sterile injectable products. From a patient compliance perspective, oral solid dosage forms are a more convenient option when it comes to ease of use. Sterile injectable products typically require a specialist or a hospital environment for administration, as opposed to the more familiar option of taking a pill at home (although oral solid dosage forms can sometimes be administered as a sterile injectable product). Oral solid dosage forms also require less of an investment from manufacturers, which translates to lower costs to the patient. As we continue to see how the industry takes shape over the next three to five years, drug manufacturers must ensure their company has the resources available to withstand the ebb and flow of the pharmaceutical industry. 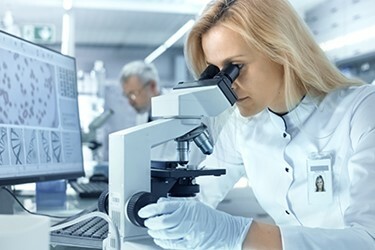 If they do not, finding a CDMO with the capabilities needed is critical to the success of their products and especially the life of their company. Selecting the right CDMO for your project is critical. From discovery to commercialization, the drug development process can take many years, so you must choose one that can support a long-term relationship. This requires specific capabilities to support the clinical and/or commercial development of your drug substance or product in order to bring it through the regulatory approval stages and, ultimately, to the patient. The criteria a sponsor — no matter what size — should use to evaluate a partner include technical capability, capacity, experience, quality, client management, reputation, and financial stability. In addition, continuity of development and clinical manufacturing services at a single CDMO ensures a thorough understanding of deliverables, the ability to avoid delays, and a much smoother project management. Multiple tech transfers and changes of an outsourced partner at various stages of development often leads to the loss of knowledge and trade secrets, which is why it is beneficial to retain the know-how and experience within one organization. Overall, the strength of a company’s personnel as well as the organization itself brings stability to the development and clinical programs they offer. Partnering with a qualified CDMO can not only help prepare you for the future of the industry, but, more importantly, it can also facilitate the delivery of safe and effective medicines to patients in a timely manner.